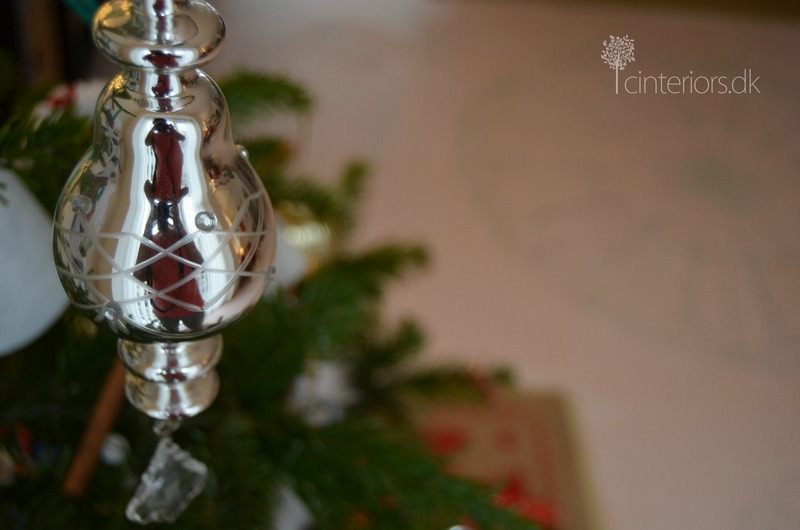 Hi there, this post is about what my preparation for Christmas has been. I think I told you we moved to a new house last summer, and I mean completely new… and then the unexpected happened, about a month ago we discovered at water damage under our floor. Last thursday our wooden floor was completely removed and a temporary one was placed instead. The idea now is to dry the water out using a humidifier that has been installed. We got this new temporary floor 6 days before Christmas. I was a little disappointed the house was looking half finish for our very first Christmas eve in our new home, so I decided to paint the floor!! I started saturday evening, I then continued sunday evening and I finally applied the varnish monday morning. As this is just a temporary solution, the work does not look very professional. I have painted one coat of Chalk Paint™ and one coat of Annie Sloan varnish. I put masking tape around the furniture and carpets, so I did not have to move things around, I painted around whatever was standing in the house. I know !! not very professional, but I just had to try. 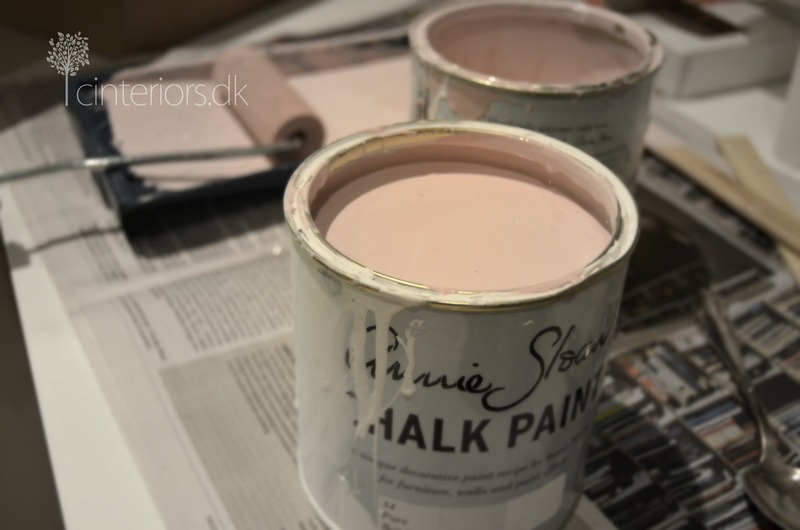 As for the colour, I chose a mix of Chalk Paint™ Antoinette and Pure. 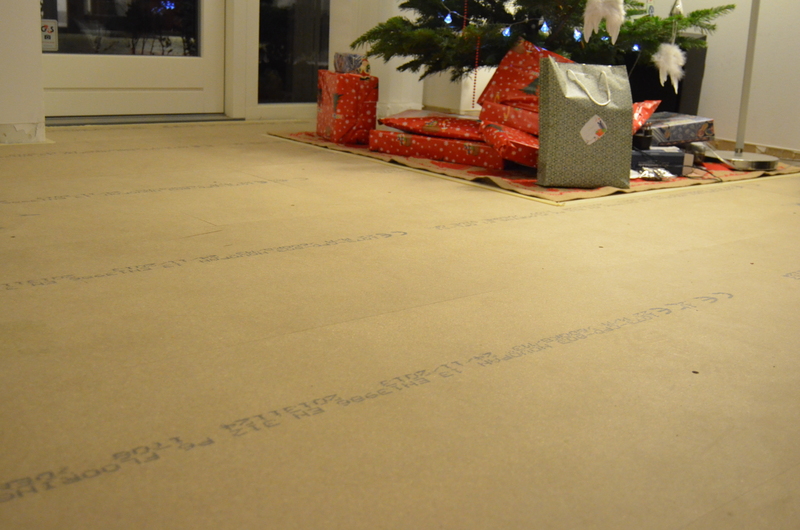 …..to make the floor a little bid more exciting I used a stencil call Quadrant by The Stencil Library. It comes as a quarter of the pattern and I just had to rotate it to complete the pattern. Really easy to use. By the way these stencil are now available from my website. For the stencil detail I chose Chalk Paint™ Paris Grey. 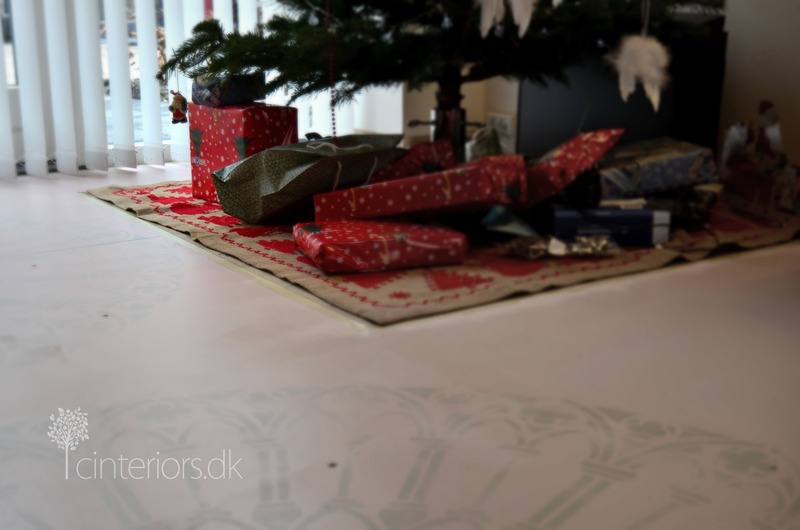 I just made it on time for Christmas, the guest were impressed not only by the delicious food, but also by our very unique floor! I must say I really enjoyed trying this. I will miss my pink floor which will be removed in about a month. My kids decorated the tree themselves, first time I allowed this to happen, this definitely my favorite Christmas tree ever. very nice and creative. I look forward to buying more paint from you and maybe have a little chat next time. Ohhh I can feel it won’t be long before I come by …even though I don’t have any money 😉… I am already in love and addicted to ASCP. Want to paint my kitchen cabinets and maybe tiles if that is possible and every thing else in my home 😄 See you soon. 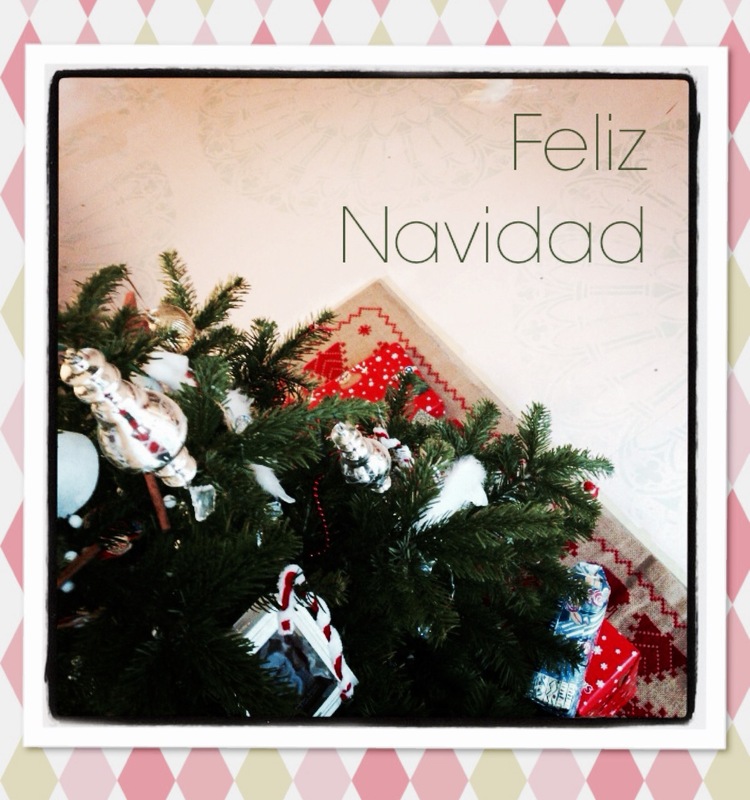 Feliz Navidad to you. 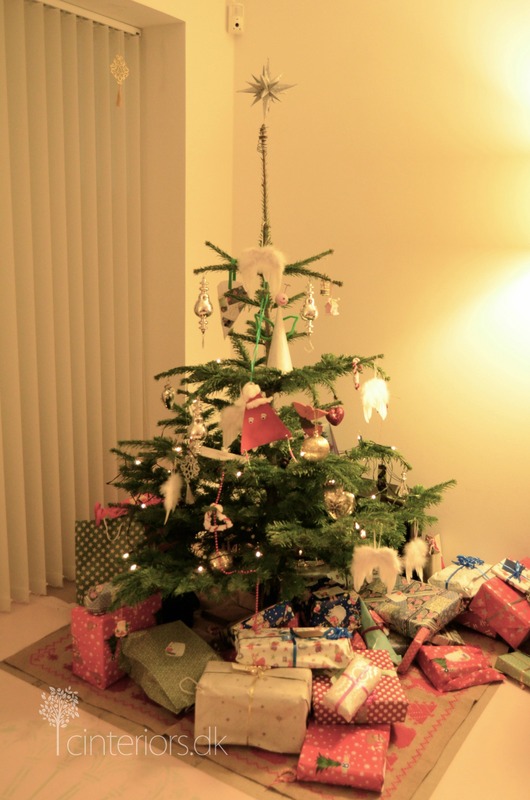 “Glædelig jul”. Feliz Navidad Adri!! and I hope you have a wonderful 2014 full of love, health and happiness!! Love your pink floor and creativity!! might as welll checkk things out. I like what I see so now i’m following you. A pretty nice solution 🙂 Pink is soft, pure and something dear to women but I never thought of a pink floor. I am sure it must be looking wonderful ( the pictures reflect it well). Wish to read more often for more innovative ideas. Thanks sharing!